Child dedication is a time for parents to publicly declare their intention to raise their child in such a way that he or she is given an opportunity to know God and to establish a personal relationship with Christ. It is a time for family and friends, and the church body at Calvary Church, to state their intention to assist parents with this task. Dedication services are scheduled a few times a year. If the upcoming date or service time is not workable, you can always join us for the next Dedication service. Parents are required to attend a one-time class prior to the dedication, which is scheduled for the Sunday prior to the Dedication Sunday. Class to be held in the Calvary Town Warehouse. The Warehouse is located ground level in the C building, across from the elevator. This one time class is intended to train and encourage parents in the role they play in their child's spirituality. Scripture is very clear, but it does not say it is easy! We will discuss opportunities to influence our children as well as common mistakes parents make. You will enjoy connecting with other parents and sharing in their journey as well. 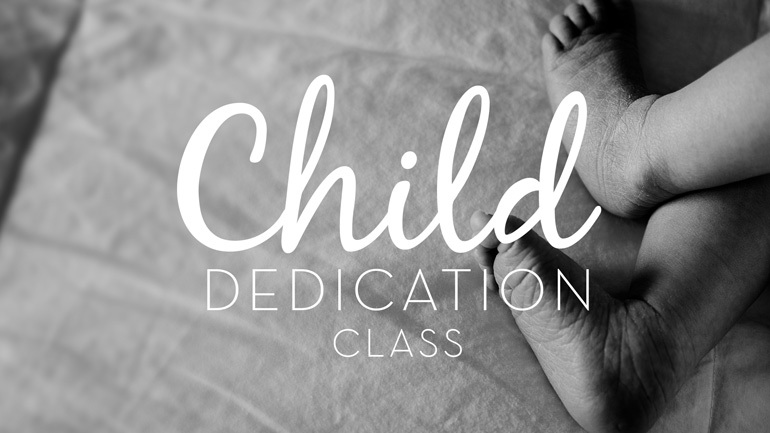 If you are interested in having your child dedicated, please plan to attend the class.